Living frugally means being in control of your finances. And, managing your personal finances can sometimes feel like a full-time job. As your life continues to get busier—with saving money while grocery shopping, clipping and using coupons, and finding ways to cut costs with do-it-yourself projects—some of those personal finance "to do's" may fall by the wayside. Learn how to organize your income and expenses in a way that contributes to your financial success. This guide will help you to set financial goals, track your spending, create a budget, and determine your net worth. To get your finances in order, you first need to decide what you hope to accomplish. Do you want to save for your retirement, a vacation, your child's college education, a new car, or a house? Do you hope to pay off debt or build up an emergency fund? 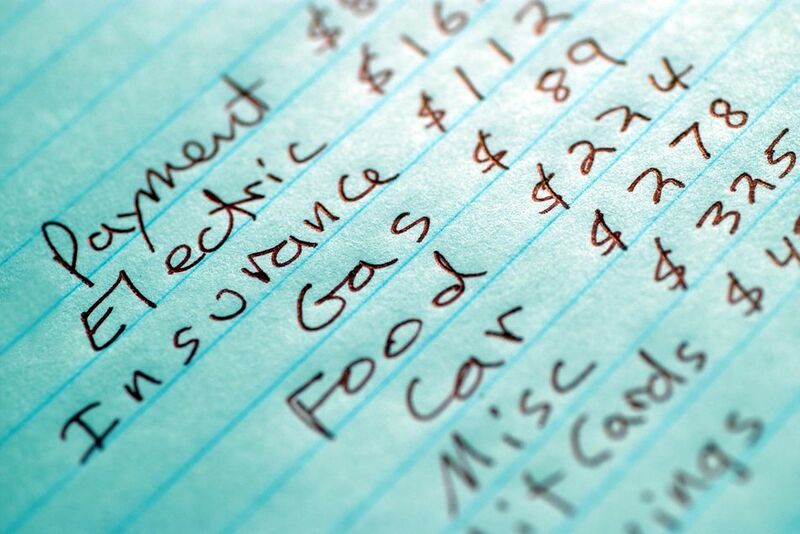 Spend some time identifying your financial goals—big and small—and put them on paper. A financial plan can help you get ready for retirement, buy your first home, and start a family (if you want one). Take the time to plant the seeds for your future by creating a plan with clear goals and a specific timeline. Do you know how much you spend each month? If not, now is the time to find out. Track your spending over a one-month period to find out exactly where all of your money goes. Are you spending too much on incidentals like coffee and vending machine snacks? Are you falling behind on your savings goals or spending more than you make? By the end of the month, you should have an answer to all of these questions. Once you've established a list of financial goals and have taken a close look at your spending habits, it's time to create a budget that reflects how you want to spend your money. To create an effective budget, start with a budget worksheet, where you'll gather all of your financial statements, record your sources of income, create a list of monthly expenses, and make adjustments to those expenses. Then, you'll want to learn how to budget your annual spending and break that down to develop a monthly spending plan. Your net worth—the total of all your assets minus your liabilities—can tell you a lot about your current financial health, and help you to plan for your financial future. Find out what your net worth is now. Then, get in the habit of recalculating your ​net worth yearly or whenever there is a significant change to your finances. It might be tempting to skip this step, but determining your net worth may be the most important part of organizing your finances. Your net worth is the cash you would pocket if you were to sell everything you own and pay off all of your debts. If you take a hard, honest look and determine this simple figure, you can then work backward to create a budget, set financial goals, track your spending, and, ultimately, take control of your finances. Which Months Between 2019 and 2029 Have Extra Pay Periods?